Saturn’s moon Enceladus might be tiny, but it has the potential to help answer one of the biggest questions ever – are we alone? 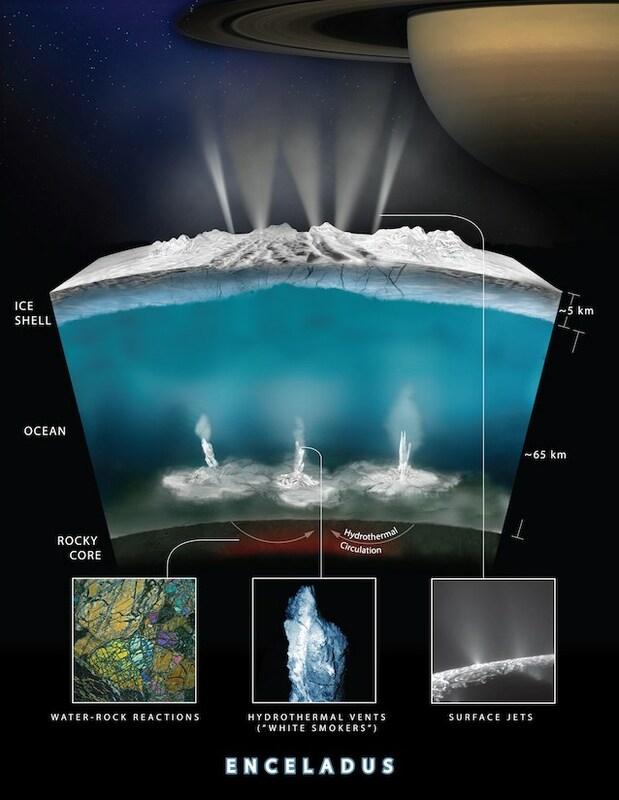 NASA’s Cassini mission studied this enigmatic world up close and found that it is incredibly active, at least geologically, with huge plumes of water vapour erupting though enormous cracks in the surface, from a salty subsurface global ocean below the outer ice crust. Cassini actually flew through those plumes, sampling them for analysis. 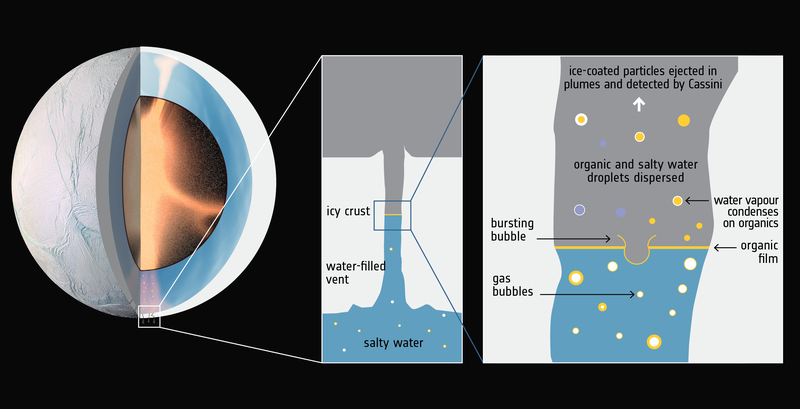 We already knew that it found water vapour, ice particles, salts, hydrogen and simple organic compounds. Now, new analysis from the Southwest Research Institute (SwRI) published on June 27, 2018, in the peer-reviewed journal Nature – shows that the plumes also contain much more complex organics. 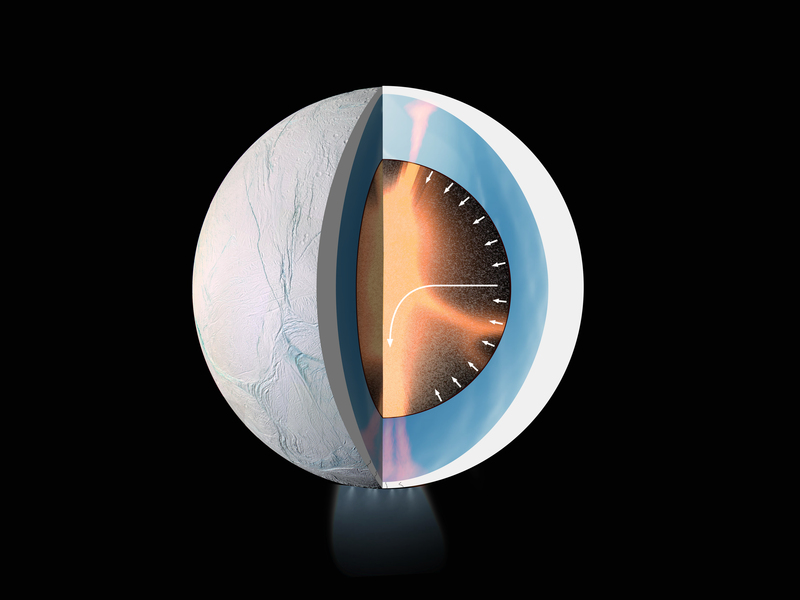 This doesn’t mean evidence of life itself – yet – but it more clearly shows that Enceladus’ ocean meets all the requirements for life to exist. This does not mean that life has been discovered on Enceladus. But it does mean that the conditions for life may exist there, in the moon’s subsurface ocean. The heavy organic fragments discovered are thought to be remnants of even larger ones of perhaps thousands of atomic mass units. The largest ones were broken into smaller fragments when they collided with Cassini’s dust-analysing instrument at speeds of about 30,000 kilometres per hour (18,640 miles per hour). Such large organic molecules can only be created by complex chemical processes, including life or hydrothermal activity. 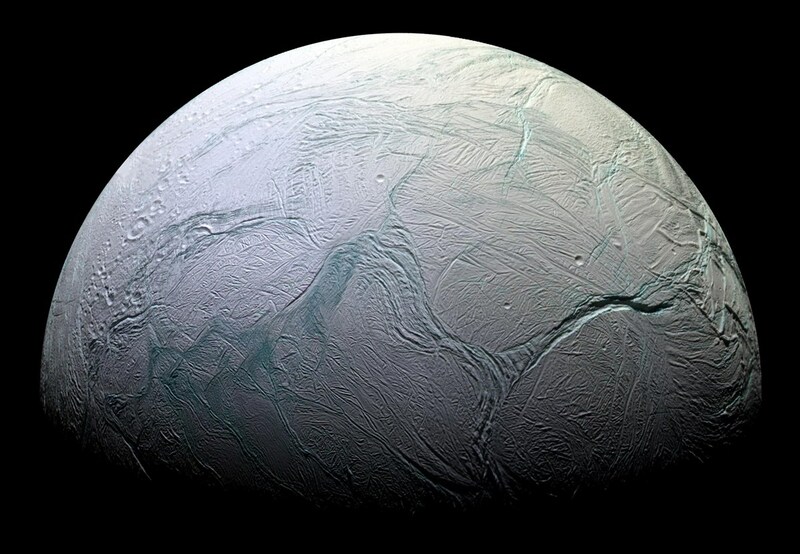 Thanks to Cassini, Enceladus has long been regarded as one of the best places in the Solar System to look for evidence of alien life. Is there anything swimming in that warm but dark ocean? Perhaps, and this new discovery of complex organics strengthens the possibility. 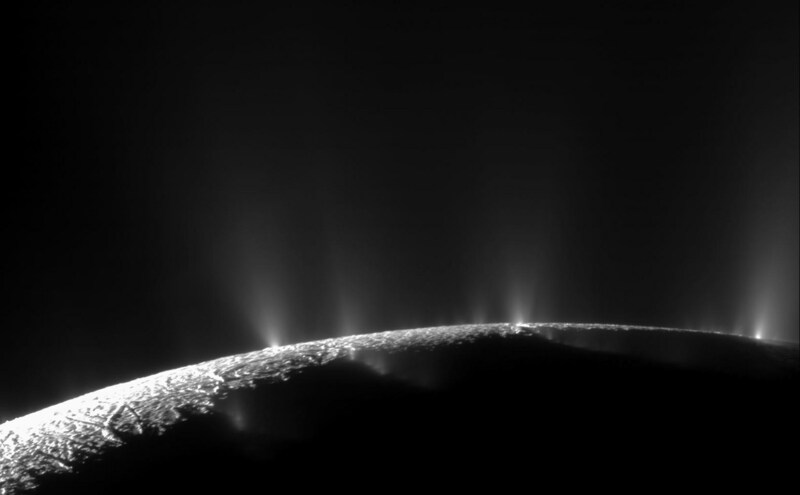 Even if only something like bacteria, finding life in Enceladus’ ocean would be one of the most exciting discoveries in history. Fascinating report but the mantra of “alien” life forms remains more hope than fact and the Fermi Paradox is intact. Notions that life needs to exist simply “because” where “because” can be anything one ants it to be, denies the complexity of the chain of circumstance that is “life” however one defines life. In the universe as we know it, “life” has a sample size of 1. Notions of extraterrestrial are simply ridiculous–the evolution of “bacteria” or anything else within the Earth’s life ample bag is unique to Earth and vastly improbable to have been repeated elsewhere. If even simple life is found on a moon, not even a planet, it would at least double the chances of life being found anywhere there are stars, since there are so many more moons than planets. And if it turns out that Enceladus’ life is DNA based, like Earth life, it is almost impossible that it arose independently. That means Panspermia is going on in the solar system, which means that once life begins in ANY solar system, the chances of it spreading to other solar bodies – literally like a virus – on meteors, comets, or even chunks of planetary debris during early years of a solar system’s bombardment, are very great. It means it is not only possible, but likely that if a solar system has one body with life, that it has more. This has profound implications not only for the chances of life developing, but for its persistence and longevity in a solar system. In our own solar system, it seems highly possible to likely that life once existed on Mars, and even if it doesn’t now, it certainly does on Earth. If that Mars life – or Enceladus life – is DNA based, than all life in the solar system comes from the same tree, most likely.